This week I rewatched two more episodes of The Adventures of Brisco County, Jr. This time we see Brisco literally face his Daddy issues and then face a courtroom. Saddle up and prepare to ride with the Chin That Won The West. This episode is chock full of prophecy, fire ants and a cliffhanger that literally forces our hero to jump to his death. Use the Force, Brisco! Jason is the son of one of the tycoons employing Brisco and he is understandably pissed at Brisco for losing his son. Instead of letting Brisco track down Bly the tycoon has agreed to have Socrates Poole deliver the ransom. But the ransom isn’t gold or cash. Socrates meets Brisco later to tell him that the ransom is an Orb rod that was found among Brisco’s father’s things after he died. Brisco tells Socrates to go to the exchange. Brisco has a plan. Meanwhile Bly has also kidnapped Professor Wickwire to examine an Orb. This Orb was found in the Arizona desert. It is damaged and missing a rod (see image in the Episode Notes). Socrates arrives at the exchange. He hands over the rod but instead of getting Jason back Bly’s henchmen trick him. Brisco shows up before they can shoot Socrates. The henchmen ride away and Brisco chases them. Before he catches them he is distracted by the appearance of his father, Marshal Brisco County (Senior) and is knocked off Comet by a low hanging branch. Only Brisco can see his father’s ghost and the others around him think he’s lost it. With the help of the ghost Brisco captures the henchmen. He takes the Orb rod and rides off looking for Bly’s lair while Socrates guards the henchmen. Back in San Francisco Jason’s father is getting anxious since Socrates is overdue from the exchange. He hires Lord Bowler to find out what’s going on and bring his son back. Bowler is even offered Brisco’s gig with the tycoons. Brisco’s fall is broken by several tree branches on the way down. He lands hard but not fatally hard. Brisco loses the trail. Marshal County shows up for some more father-son time. He tells Brisco he found the Orb rod among Bly’s things when he arrested him. Brisco tries to get more info but his father says he’s not allowed to tell him anything else about the rod or tell him who won’t allow him to tell anything else. His father does some Obi-Wan style mentoring so that Brisco can see Bly’s tracks. Meanwhile Bowler is tracking Brisco, including making the same fall down the cliff. He also punks a rattlesnake because Bowler is just that much of a tough son of a gun. Brisco follows the tracks to an isolated farmhouse occupied by an elderly couple. Brisco thinks he’s screwed up but his father’s ghost shows up for another talk. He tells Brisco that he’s scared. Brisco hesitated going out the door when Jason was kidnapped because he was scared. But it was right to be scared then and the hesitation saved his life. His father tells Brisco to listen to himself. Brisco realizes there were no crops i the field and the farm was a front. Brisco returns and subdues the old couple and one of Bly’s henchmen. He hides the rod in the house (and rigs up a booby trap) before descending down a hidden entrance to Bly’s underground lair. He confronts Bly and ends up offering to trade the rod for Jason. The group moves upstairs to the house. One of Bly’s henchmen gets the rod and inserts it into the orb. He breaks into small pieces and disappears. Brisco uses the distraction to light the flash powder booby trap he set earlier. The house fills with smoke and no one can see. Bowler shows up. He and Brisco split up to look for Jason. Brisco’s father shows up for one last bit of Obi-Wan mentoring telling him to listen to the sounds and don’t think. (Use the Force and trust your feelings, Brisco!) He shoots the remaining henchman then follows Bly, who has grabbed the Orb, back down into the cave. The Orb is crackling with blue lightning and everyone thinks it’s about to explode. John Bly escapes while Brisco frees Wickwire and Socrates. Brisco, Wickwire, Socrates, Bowler and Jason ride away just before the Orb explodes, taking the cave and house with it. Jason is reunited with his father. Wickwire, Socrates and Bowler ride their separate ways. Marshal County appears and congratulates his son on a job well done. He says he’s being called back. The two Countys say the goodbye they didn’t get to do when they were both alive. Brisco County Senior starts to ride away and vanishes. Brisco County Junior rides off alone. This is the first time we see father and son County together. Brisco’s relationship and issues with his father (played by a relatively subdued R. Lee Ermey) are very similar to the ones that Dr. Henry Jones, Jr. (better known as Indiana Jones) had with his father. The Orb lore revealed in this episode is as follows. There were originally three Orbs. One is destroyed in this episode leaving two. It’s strongly implied that the Orb seen in this episode came from outer space and the crash to Earth caused the damage we see. John Bly knows quite a bit about the Orbs. He knew there was more than one and wasn’t too surprised about what happened to his henchman that put the rod into the Orb. By the way, since that rod didn’t go with that Orb then one of the other Orbs is missing a rod. I often refer to this episode as Brisco, She Wrote. A gallows is already being erected before the trial, which is being held in the local saloon. Brisco knows he’s not ready and manages to get a recess for a day. The Judge is a stern Yale man but is running a fair trial, which bothers the more hotheaded townspeople who want to lynch Carter. The sheriff also wants Carter found guilty and gives Brisco a beating to make his point. But Brisco still shows up at the jail to see his client and beats down the sheriff’s deputies who try to stop him. The sheriff lets him see Carter. The victim was Potter Crow, the richest man in town (named Crowville so you get the idea how much influence he had). A witness claims to have seen Carter running from Crow’s place after hearing an argument Carter had with Crow around the time of the murder. Crow was a relentless businessman. He lured Carter to town by bankrolling his research lab, though Carter still sees patients as well. But Crow was willing to get dirty and do whatever it took to get what he wanted. So there are plenty of potential suspects in town, including the widow of course. Carter also reveals that Crow had a heart condition and would have died within a month anyway. Brisco breaks into Carter’s lab office to find Crow’s medical records showing he was already terminally ill. He notices a pair of crude slide projectors (these things for the young’uns who have never seen one before). Brisco is confronted by a young woman, Charlotte, who is Carter’s nurse. They find that Crow’s medical file is missing. Socrates Poole arrives in town on the evening stagecoach. Brisco had sent for a lawyer but he wanted someone experienced in criminal law. Just then a lynch mob marches on the sheriff’s office for Carter. The sheriff steps aside and lets them take Carter to hang on the gallows. Brisco tries to stop them but it takes the widow Cassie Crow showing up to break up the crowd. She has her own reasons for not wanting Carter lynched. During a cattle run through town Brisco saves Charlotte from being caught in the stampede. He notices she has an envelope of cash from a Sacramento law firm. In court the prosecution’s case is pretty strong. A witness testifies that he heard Crow shout “Carter, don’t do it, don’t kill me” right before hearing the shot. Another witness shows that Carter recently bought a derringer, which is assumed to be the murder weapon (remember this is pre-ballistics testing). Brisco calls Comet to the window. He ties rope around the bars on the cell window. Comet pulls the bars out (that’s some shoddy construction!). Brisco, Socrates and Carter escape outside just before the dynamite explodes. Carter is relocated to a stable for holding. Cassie visits him there while he’s with his lawyers. 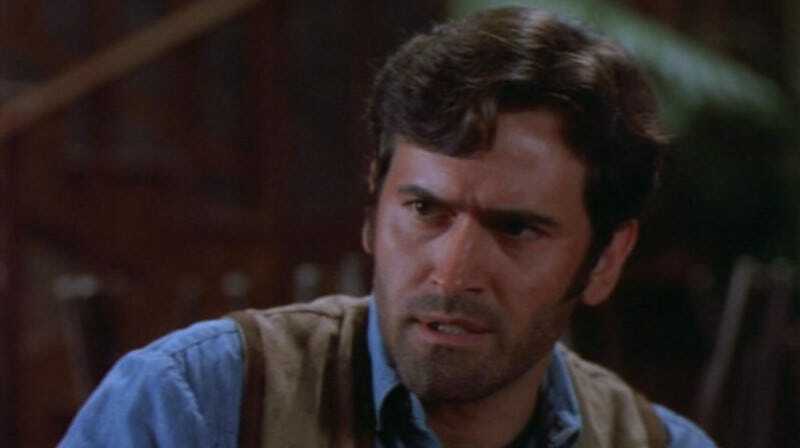 Brisco finds out that the sheriff owns a ranch that Crow wanted (it was his cattle being run through town earlier). Brisco and Socrates check out the ranch and find the herd infected with hoof and mouth disease. Crow infected the herd because the sheriff wouldn’t sell his ranch. But the sheriff says he didn’t kill Crow because Crow also told him he was dying. Crow said he would be getting revenge from beyond the grave on the sheriff. The prosecution’s final witness testifies that Potter Crow sent a telegram to a Sacramento law office specializing in probate law. Crow was considering disinheriting his wife because she was cheating on him with Carter. That establishes Carter’s (and Cassie’s) motive and things look bad for the doctor. Brisco has a flash of inspiration and realizes who the murderer is. He dashes off and when court is back in session later he has the two slide projectors brought in. Brisco explains the idea of individual finger patterns, or “fingerprints,” to the jury (see Episode Notes). The pistol has been handled by a lot of people but the shell casing is still in the chamber. Brisco takes a print from the shell, applies it to a slide and projects that onto the saloon wall. It doesn’t match Carter’s fingerprint (projected next to the killer’s with the other projector) but does match Potter Crow’s taken from his straight razor (something only he would handle). Potter Crow shot himself and set up things to look like Carter murdered him to get revenge on his unfaithful wife and her lover. But he needed an accomplice to appear to run away after the shot and put the murder weapon far from his body. Crow used Charlotte, a lonely woman jealous of Carter’s affair with Cassie, to help him. The money from the law firm was payment, presumable arranged by Crow before his death. Matthew Carter is a free man. He and Cassie thank Brisco for all he did. Socrates takes the stagecoach back to San Francisco. Brisco rides off. Socrates Poole is reading Pudd’nhead Wilson as he arrives by stagecoach and throughout the episode. The Mark Twain novel was serialized in a magazine but not published as a book until 1894 (the episode takes place in 1893). But its prominent use of fingerprints as evidence is an important part of figuring out what really happened to Potter Crow. In court Brisco also references the work of Francis Galton particularly the book Finger Prints published the year before (1892). When I watched The People v. O.J. Simpson I may have actually laughed out loud when I saw Christian Clemenson (who plays the lawyer Socrates Poole) playing L.A. Deputy District Attorney Bill Hodgman. Apparently he also played a lawyer on Boston Legal but I never watched that show.